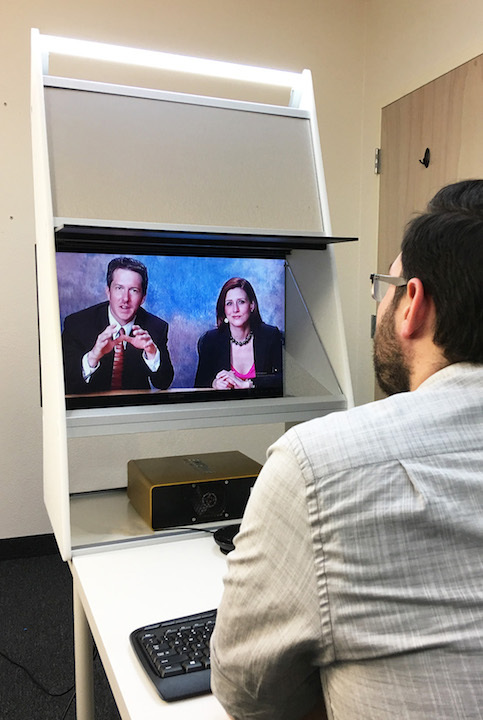 Omni-Station 27™ captures high definition video of a professional presenter with a camera view at eye level for perceived eye contact with the audience. In the upper section of the Omni-Station 27™ is an LED bar that provides a soft lighting to the face of the presenter. The daylight color balance lighting delivers a high quality color rendition that is ideal for the HD camera. The Omni-Station 27™ has the option of adding a second screen positioned in front of the system to display visual content that can be integrated into the video communication with the remote venue for interactive collaboration. 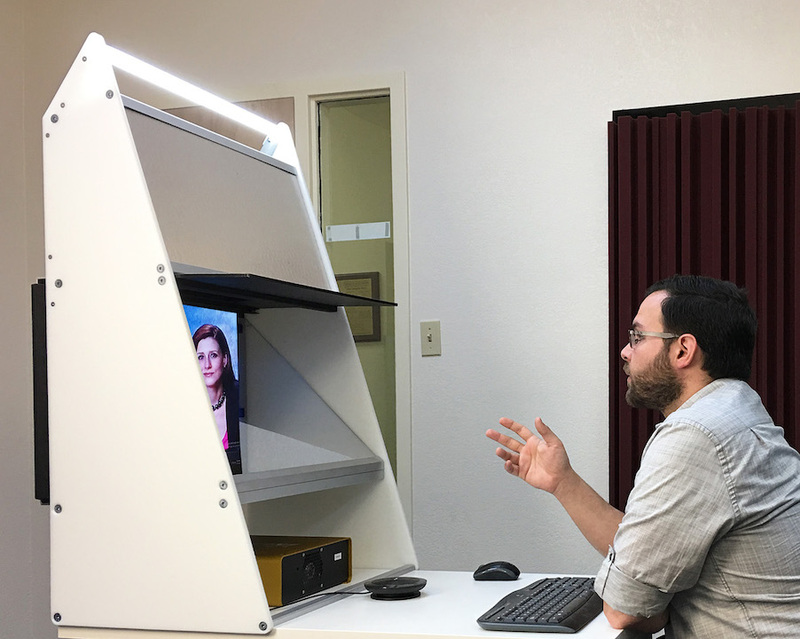 The Omni-Station 27™ has a beamsplitter in the line of the camera view that reflects at eye level to capture the presenter looking directly at the image of the remote audience appearing on the internal monitor. The monitor displays a large image of the remote locations for engaging with the remotely located customer. The Omni-Station 27™ is a compact professional transmission system that can be placed on a desk or table. It is complete with a specialized computer for video transmission. The HD camera has a zoom lens with settings for transmitting to different receiving display systems. In combination with the TelePresence Tech backdrop the Omni-Station 27™ can transmit to the TPT Holographical Reality systems for three dimensional display.